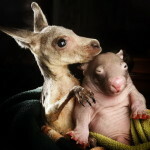 Kangaroo Joe and wombat Peggy – friends forever. 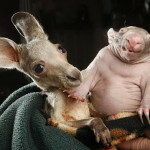 According to media, 5 month old kangaroo Joey appeared in the center after being rescued in the Macedon Ranges. 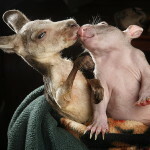 Joey and juvenile female wombat Peggy settled in the Australian Center for the Protection of animals «Wildlife Kilmore Rescue Center». 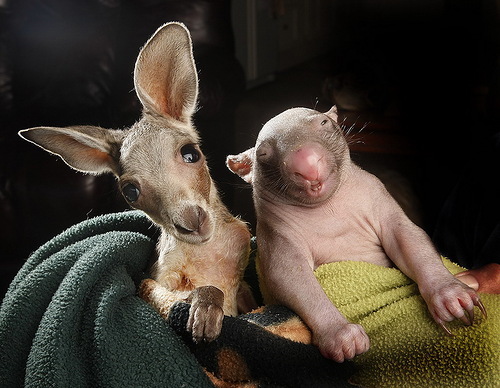 Meanwhile, these two herbivorous orphans became inseparable friends, compensating to each other their missing mothers. They spend time and even sleep together. In addition, the employees of the center think that their friendship would continue when they are older. 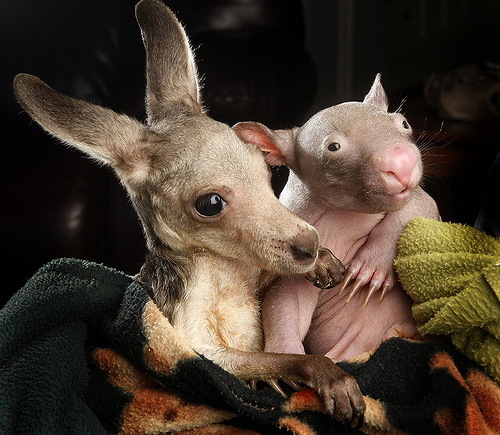 And one of the reasons the cute duo get on so well is their similar personalities – with Anzac described as very social while Peggy is boisterous and cheeky.